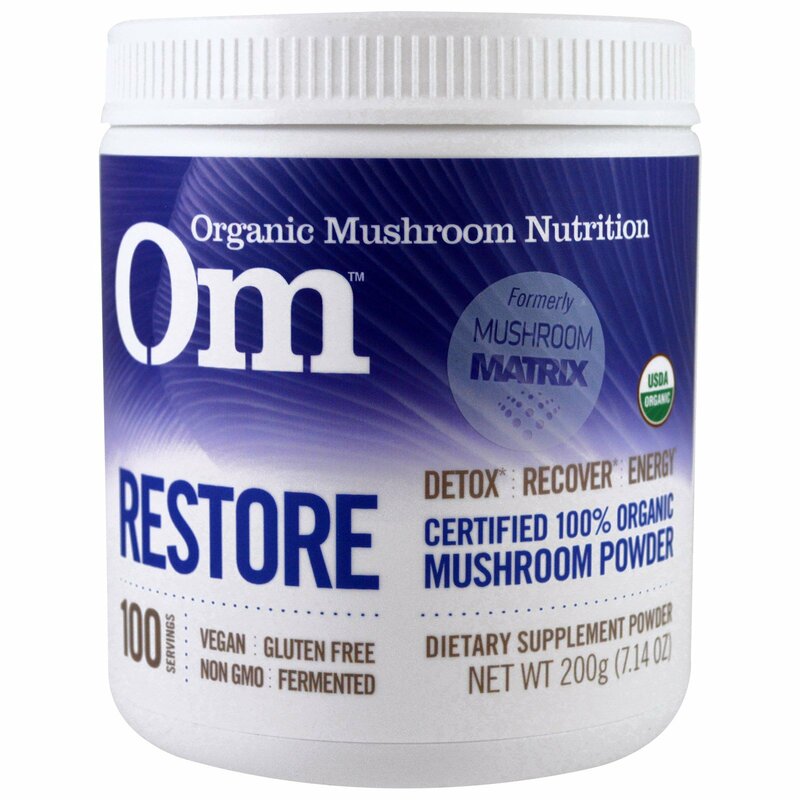 Feel the restorative power of our dynamic blend of organic mushrooms to fuel your body through recovery. 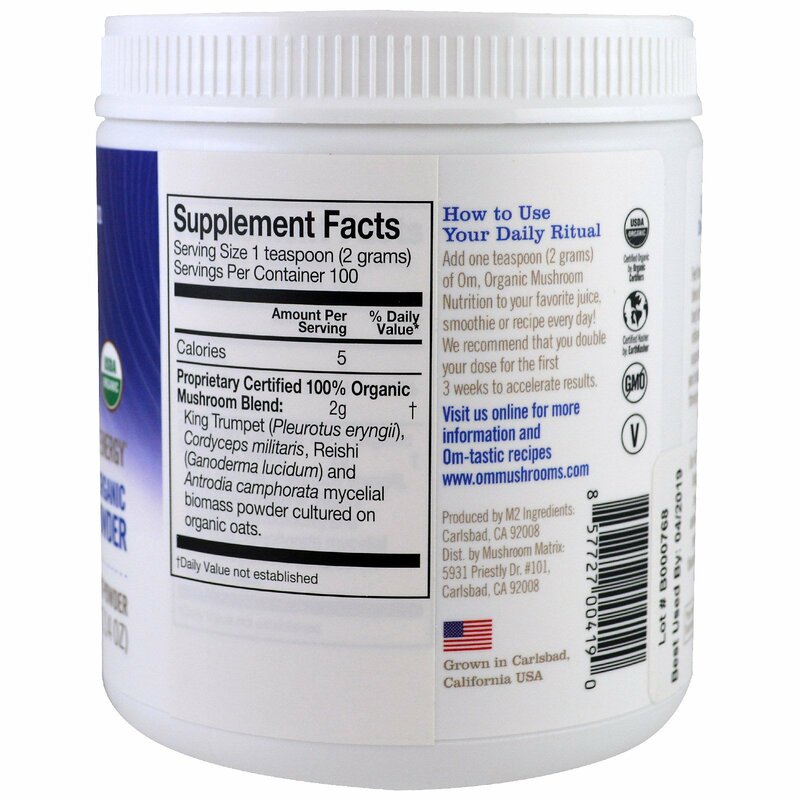 Supports positive inflammation response, detox, immune support and energy replenishment. 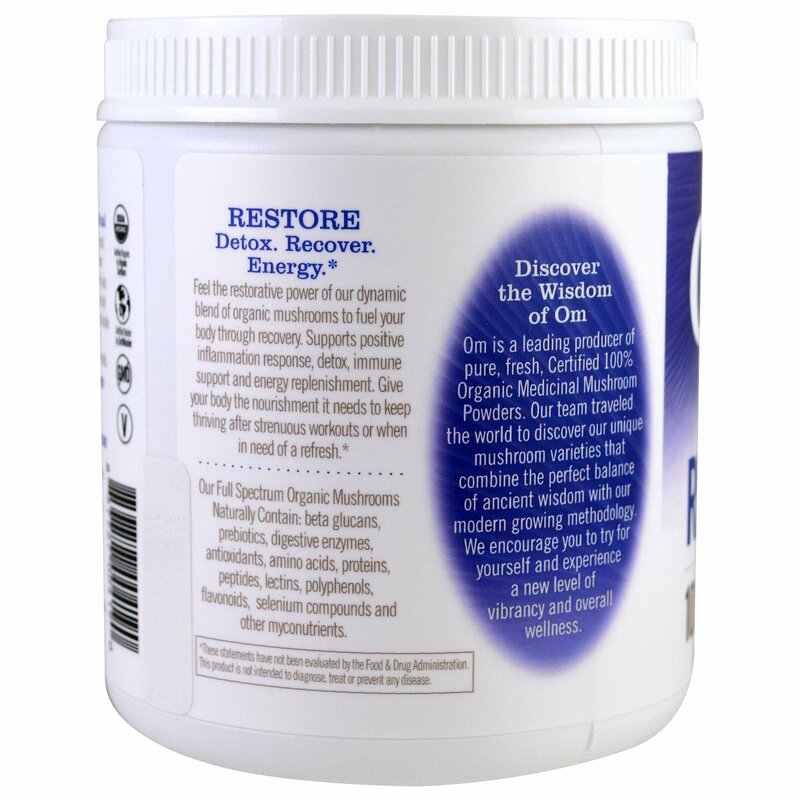 Give your body the nourishment it needs to keep thriving after strenuous workouts when in need of a refresh. Om is a leading producer of pure, fresh, Certified 100% Organic Medicinal Mushroom Powders. Our team traveled the world to discover our unique mushroom varieties that combines the perfect balance of ancient wisdom with our modern growing methodology. 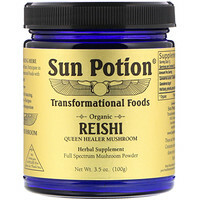 We encourage you to try for yourself and experience a new level of vibrancy and overall wellness.